You’ve probably heard of coconut water and if you haven’t it’s time to crawl out from under your rock. Coconut water is not new but has recently taken off over the last few years. Sweet, refreshing, a little salty in my opinion, but packed full of electrolytes and incredibly hydrating, this drink has been the “it” drink. You can now even get flavored coconut water or coffee coconut water! 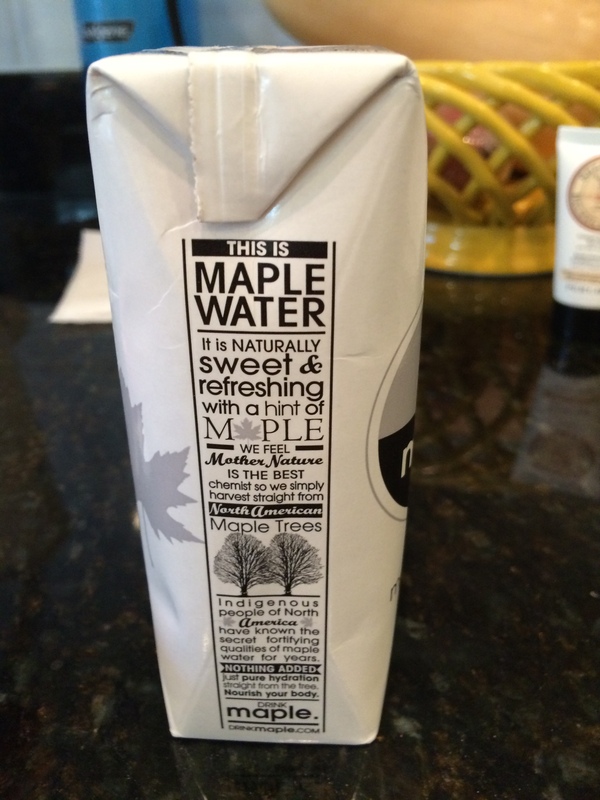 Naturally, it would make sense to introduce Maple water to the market. Maple water is an all natural, plant-based water, drawn from North American Maple trees and is being touted as the “new coconut water.” DrinkMaple was first conceived after Founder Jeff Rose and Co-Founder Kate Weiler tasted maple water for the first time and were hooked. They were introduced to maple-water during an Ironman triathlon and, intrigued by the subtle taste of maple, they worked hard to introduce this low-calorie beverage to the local New England market. maple. (as it is called), is obtained by tapping into maple trees, with no other added ingredients, just maple sap. I was a little hesitant to try this product as I have had pure maple sap in the past, and to be honest it is not the most pleasant of flavors. If you’ve ever had maple syrup or those maple candies, the water is removed from the maple sap and the sap is boiled, allowing the sugars to caramelize, and that’s why you get the sweet rich flavor of maple syrup. However, with the sap, it has only the slightest sweet taste. Therefore, I was pleasantly surprised when I tried Drinkmaple for the first time. It tasted just like water with only a hint of sweet maple flavor. Others have compared it to watered down maple syrup or sugar cane flavor. But, I quite enjoyed it! It was hydrating, refreshing, and only 20 calories with 4 grams of sugar! Maple. is also naturally dairy-free, vegan, non-GMO, and gluten-free of course. Vitamins, minerals, antioxidants, and prebiotics. Antioxidants help your immune system and protects against oxidation, or the production of free radicals. More manganese than one cup of Kale. Manganese plays many vital roles in the body such as ensuring healthy bone structure, blood sugar regulation, maintains thyroid health, and assists in the metabolism of fats and carbohydrates. Because it is a naturally occurring mineral in our bodies but only in small amounts, it is necessary to obtain from our diet as well. Symptoms of manganese deficiency include high blood pressure, bone malformations, high cholesterol, poor eyesight, and trouble hearing to name a few. Though quite rare because manganese is can be obtained from a plethora of sources, maple. is a great way to ensure you obtain enough as it contains 40% of the recommended daily allowance. If you’re a Boston native then you’re in luck because maple. launched May 12 on local store shelves in the Greater Boston area and is also being sold online via drinkmaple.com. Maple water is already hugely popular in NYC, where another of my favorite brands, called Happy Tree is sold. Plus, given the recent buzz on maple water (was recently on the Today Show as well!) and the fact that DRINKmaple is the ONLY company based in the area and selling the product in the area, of course I wanted to share it with you! In my opinion, it’s the perfect morning refreshment (next to coffee of course!) or afternoon hydrating pick-me-up. 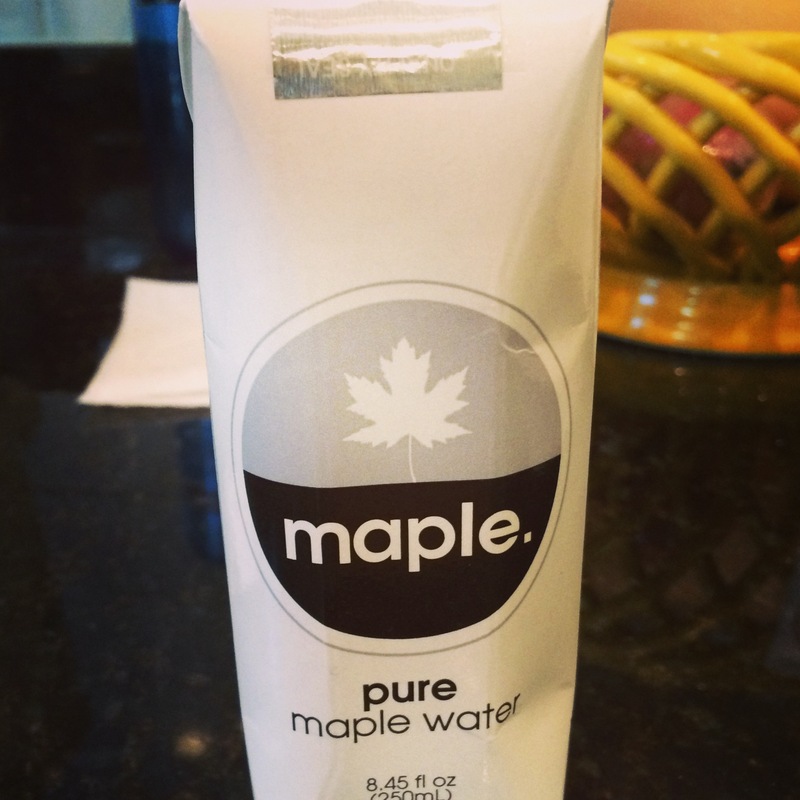 If you have tried maple water, what did you think? p.s.I wouldn’t recommend it post-workout but rather as a tasty beverage to keep you hydrated if you’re not a fan of regular water and need a little flavor. Disclaimer: I received this product for free to sample and review for my blog. I was not paid for my review and all opinions are my own. WOW! 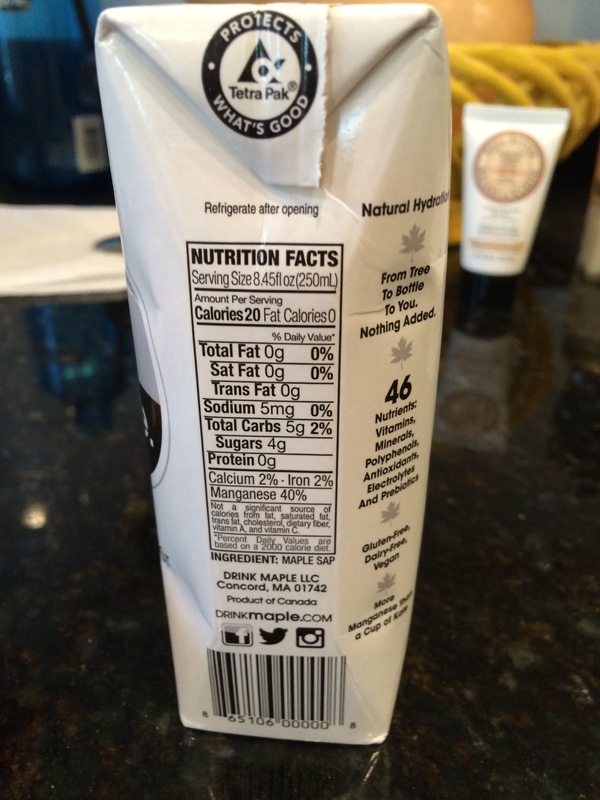 I had not heard about this new drink…but with that awesome nutrition label, I have to give it a try! !